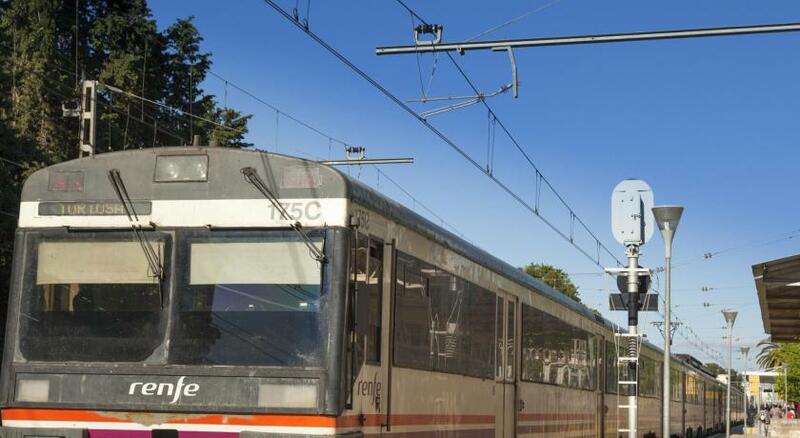 Basic accommodation in excellent position for railway station, shops, night life and beaches. The location. 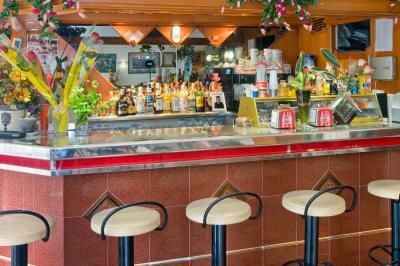 Close to the bus stop to PortAventura Parks. Nice staff. Room was basic and a bit noisy, but for the cheap price it's okay! 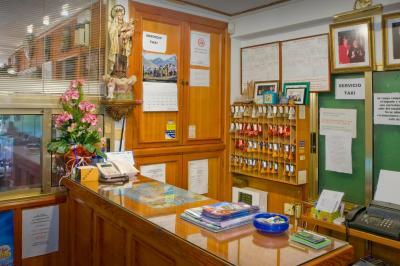 A very friendly staff - just for that reason I would stay there again. The guy at reception was trying to speak my language and he gave a very positive impression. This place is definately worth of every penny spent there. Another advantage - a very close proximity to the beach and the train station. I would recommend this place to everyone who is looking for really good value for their money. Personnel plutôt agréable , petit déjeuner moyen , au bord des rails mais les chambres sont à l’opposé donc nous avons bien dormi ! En revanche dans le centre ! Un peu vétuste mais propre ! Bref pour le prix ça va ! Rapport qualité prix. Accueil du premier veilleur de nuit. Proximité centre. 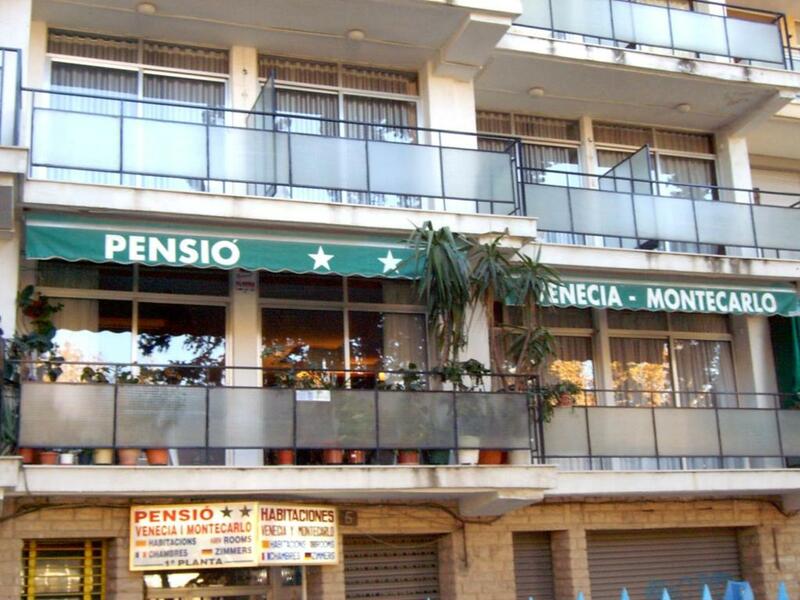 Pensión Venecia y Montecarlo This rating is a reflection of how the property compares to the industry standard when it comes to price, facilities and services available. It's based on a self-evaluation by the property. Use this rating to help choose your stay! 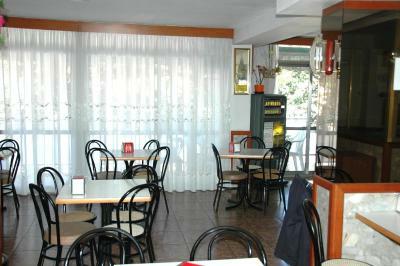 Pensión Venecia is just 350 feet from Ponent Beach, in central Salou. 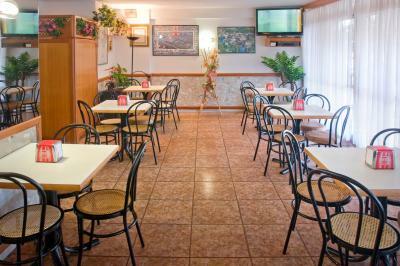 Conveniently located opposite Salou Train Station, it offers rooms with a ventilator fan and TV. Free WiFi is available in communal areas. 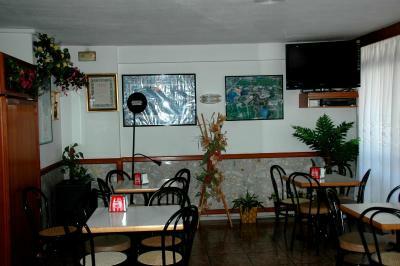 The Venecia is a family-run guest house, which offers basic, good-value rooms. 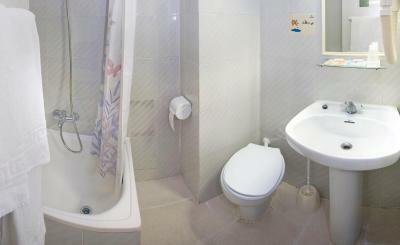 All heated rooms have a private bathroom with a hairdryer. 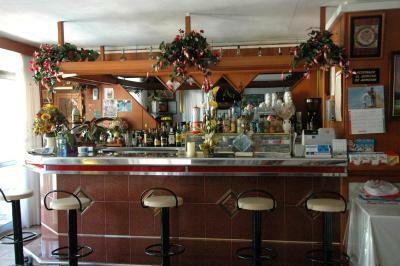 There is a café at the Venecia. 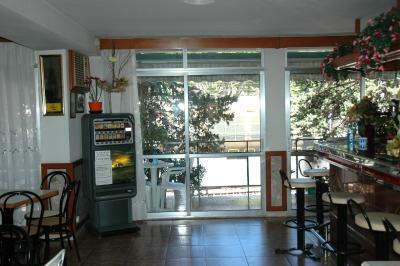 Guests can also relax on the guest house’s sun terrace. The staff at the Venecia’s tour desk can help to organize day trips, and the Port Aventura Theme Park is just 10 minutes' drive away. 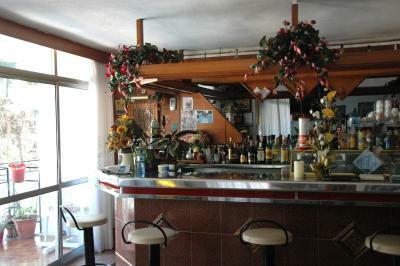 뀐 This property is in the real heart of Salou! 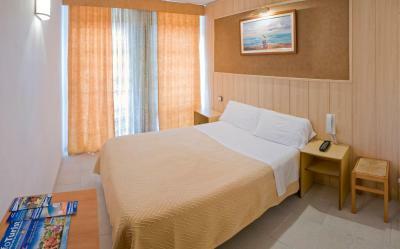 When would you like to stay at Pensión Venecia y Montecarlo? 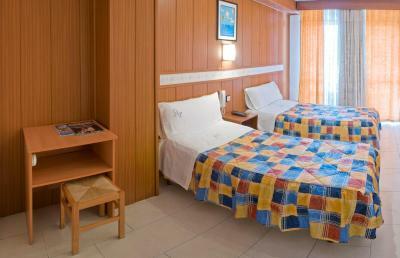 All rooms have a fan, a TV and a private bathroom with hairdryer. House Rules Pensión Venecia y Montecarlo takes special requests – add in the next step! 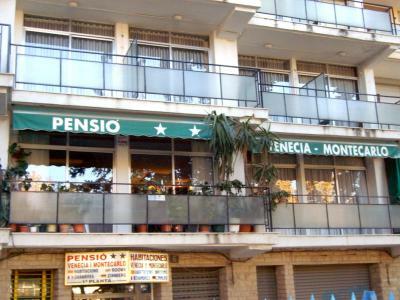 Pensión Venecia y Montecarlo accepts these cards and reserves the right to temporarily hold an amount prior to arrival. Only plug sockets were very high up and needed a chair to stand on to reach them. Beds rock hard. No aircon, rooms very hot. Staff not welcoming. Very close to train station and beach. No air conditioning.Room very small. The property needs a refurbishment. 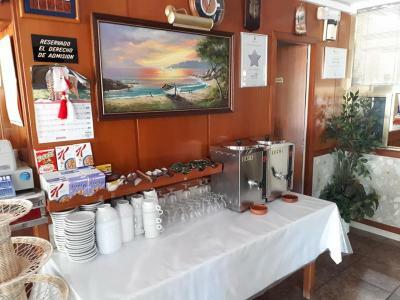 None of the staff could understand me, it was an effort for them to do anything, I bought a bottle of water from them and they weren't happy about having to move off their seat, I had 3 keys for 3 different doors to get in to hotel. And their was never any hot water to shower. The owner is rude as hell and not accomodating. I personally do not recommend this place. The room is so hot! The breakfast is so poor. The only disadvantage - no air conditioning. In my case, it wasn't a big problem - as it wasn't hot outside. But should it have been hot outside, it probably would have been too hot in the room.